Malignant melanoma is the most aggressive and deadly type of skin cancer. Early stage disease that hasn’t spread can be cured by surgery, but late stage metastatic disease that has spread to other organs has a very poor prognosis. 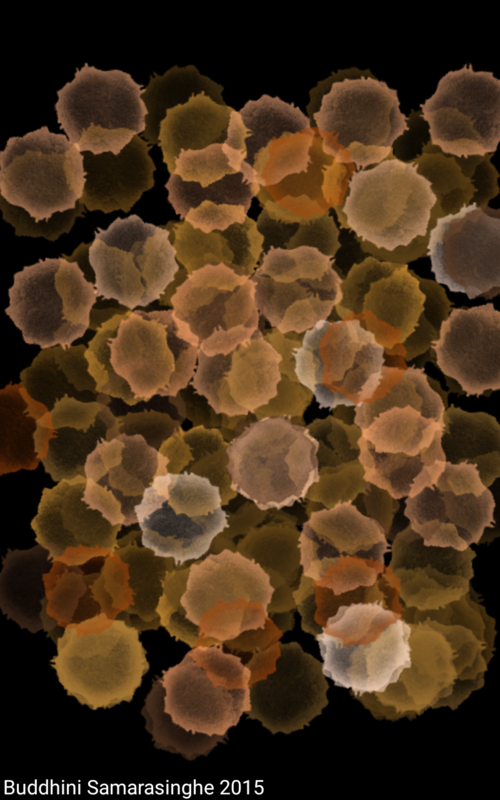 Left untreated, malignant melanoma kills fast, in less than a year. Until 2011 there weren’t many treatment options available for patients with malignant melanoma. The breakthrough came when several new targeted therapies made it out into the market. But what is the history behind this, and what is the current status of melanoma research? A growth factor is a special molecule secreted by a cell that influences other cells in its vicinity. A growth factor binds to a specific receptor found on the surface of a cell. The activated growth factor receptor activates a protein inside the cell known as RAS, which when activated goes on to activate B-RAF. 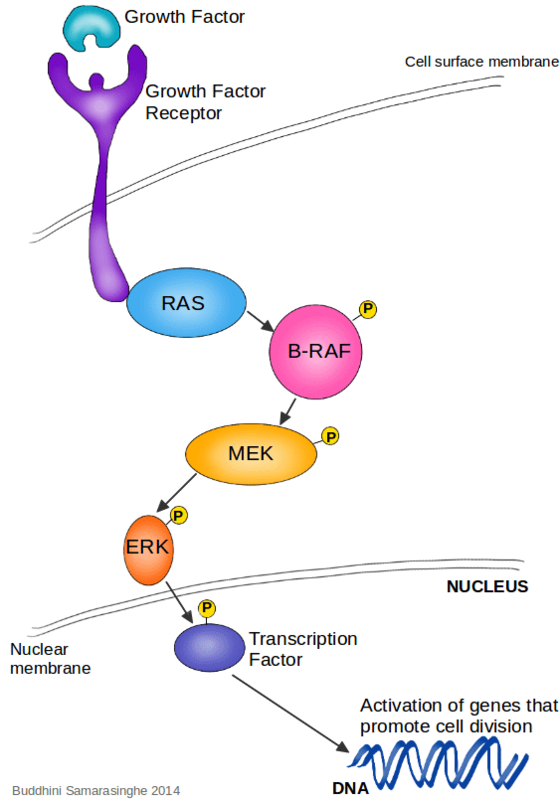 Activated B-RAF activates MEK, which activates the final protein in the pathway, known as ERK. Activated ERK then moves into the cell nucleus and sets the wheels in motion for cell division. In healthy cells this pathway is switched off, and is only activated when the cell needs to divide. But in cancer cells, because B-RAF is mutated, it is always active, so the cell cannot stop growing. The cancer cell does not wait for the go-ahead from an external growth factor to divide; it is self-sufficient. 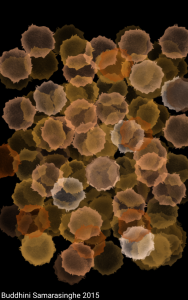 This seemingly simple mechanism, a mutation that allows the cell to keep dividing without an end in sight, lies at the heart of melanoma, and indeed, all cancers. Independence from external growth factors is one of the Hallmarks of Cancer . Although there are many other mutations that occur in melanoma, the key mutation was overactive mutant B-RAF. Unsurprisingly, efforts were then made to inhibit the activity of B-RAF. But remember, healthy cells also have B-RAF; the problem isn’t B-RAF, it is the mutant, hyperactive form of B-RAF. Therefore, in order to target just the melanoma cells, it was imperative to make sure that only the mutant form of B-RAF was inhibited. The first selective B-RAF inhibitor to be approved for use in B-RAF mutant melanoma patients was vemurafenib*, which specifically binds to mutant B-RAF and prevents it from activating MEK, so the pathway is switched off. Vemurafenib was one of the first new drugs to be approved for the treatment of melanoma in 13 years. Until vemurafenib, the standard treatments were conventional chemotherapy such as dacarbazine that were indiscriminate cell killing drugs, and more importantly did not even provide any significant improvement in patient survival. Cancer is not one single disease. Even a hundred different instances of melanoma, though pathologically classified as the same disease, will have a hundred different variations; is B-RAF mutated? What about the other proteins in the ERK pathway? What about other pathways? Do the metastases have the same mutations as the primary tumour, and if not, how different are they? There is a dizzying array of possibilities, and in turn cancers have a dizzying array of variations within them. This is known as the biological heterogeneity of cancer, and it demands therapeutic heterogeneity in the way we approach it. The same treatment cannot be indiscriminately applied to all cancers. Targeted therapies that can home in on the unique vulnerabilities of a cancer with precision are the way of the future. Indeed, vemurafenib was a breakthrough in every sense of the word; it allowed a once untreatable disease to become treatable. Unfortunately, the celebrations were short lived. Although inhibiting mutant B-RAF increased survival for patients, the majority relapsed within a year. Their cancer became resistant to vemurafenib. In some cases the tumour simply churned out more mutant B-RAF, overwhelming the drugs that were inhibiting it. In other instances the cancer neatly sidestepped the B-RAF inhibitor through a mutant version of RAS, which activates B-RAF. When this happens, what was once a life-extending drug actually becomes an enemy, because not only are these tumours resistant to the drugs, they actually become more invasive in the continued presence of the drug. The cancer cells actually change their shape, shifting from rounded to elongated, becoming sleeker, which allows them to aggressively spread within the body. They also secrete proteins that help them be more invasive. This explains the unfortunate deterioration seen in relapsed patients, when their cancer comes back worse than before. Clearly, B-RAF inhibitors are a valuable innovation in melanoma treatment. But how can they be used so that resistance doesn’t occur? One approach that is being actively investigated is inhibiting the pathway at multiple nodes, by designing drugs that would specifically inhibit MEK or ERK, which are downstream of B-RAF in the pathway. When these drugs are given in combination with B-RAF inhibitors, it might be possible to circumvent the currently inevitable development of drug resistance. Another interesting approach is the concept of a ‘drug holiday’. 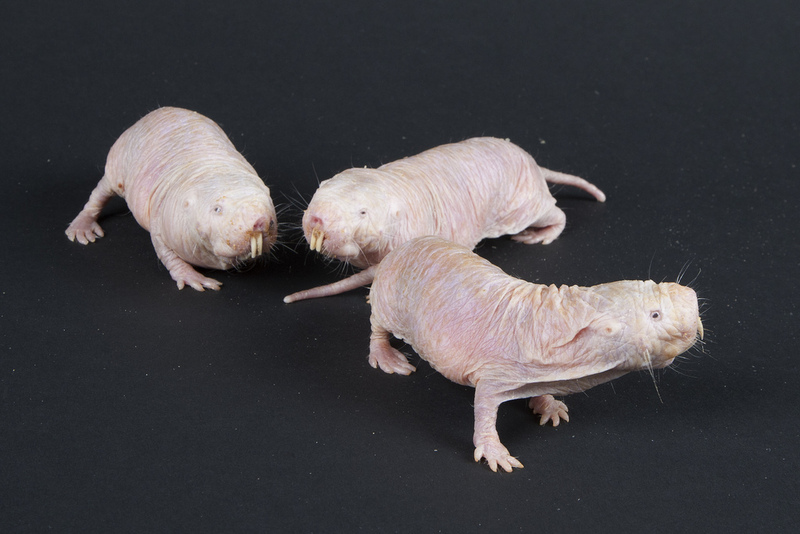 In mice, melanoma tumours grow more slowly when they are treated with cycles of 4 weeks of B-RAF inhibitor broken up with 2 weeks of “drug holiday”, than if treated with the drug continuously. It seems counterintuitive; with antibiotics for treating bacterial infections, we’ve all heard the dire warnings of completing a course of antibiotics, to avoid the emergence of antibiotic resistant strains of bacteria. So what is the theory behind the drug holiday and why do the tumours grow slower when there is a break? It’s because a tumour is not made up of just one cell type; tumours are heterogeneous. Lots of different cells with lots of different mutations make up a tumour. It is also thought that drug resistant cancer cells are ‘less fit’ (in the evolutionary sense) than the drug sensitive original cancer cells. This makes sense because drug resistance is only useful when there are drugs present. So during the treatment cycle, the drug sensitive cancer cells are killed off, while the drug resistant cells grow and populate more and more of the tumour. During the “holiday” the drug sensitive cancer cells recover while the drug resistant cancer cells recede. So over the cycle, one population of cells is always receding and the other is growing, resulting in an overall delay in growth. The drug holiday approach has been used with a B-RAF mutant melanoma patient who also developed leukaemia that was driven by a RAS mutation. The doctors treated the patient with intermittent B-RAF inhibitor and also MEK inhibitor in combination, which appeared to keep the growth of the melanoma and the leukaemia in check. It’s clear that we need to learn how to optimise drug schedules, and design treatment plans that can utilise the benefits of targeted therapies used in combination. * The name “vemurafenib” comes from the specific mutation on the B-RAF protein. The amino acid valine is mutated to glutamate at the 600th position of the protein (hence V600E). So the drug name is V600E mutated BRAF inhibition. Any drug name that ends with the word ‘-ib’ refers to a small molecule inhibitor designed to inhibit the activity of a specific protein. Here’s a great review on targeted therapies in melanoma (unfortunately behind a paywall). 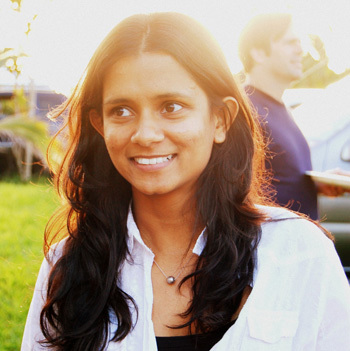 Hi, Buddhini, since the malignant melanoma is a very terrible disease that is difficult to cure in the middle and later stage, I think it’s best to find the symptoms in the early stage. So what are the symptoms before the malignant melanoma comes to the later stage that we can stop it earlier?